New Hair for the New Year!!! Everyone’s texture has the potential to look stellar! You just need the right cut and tools and the lesson on how to recreate it at home!! Short hair is poised to have a major moment in 2016! Geometric shape haircuts are big this year with proponent of bold shapes and eccentric lines. While a triangular shape may be something we’re typically told to stay away from, these eye-catching contours are clutch for women with natural-textured hair! 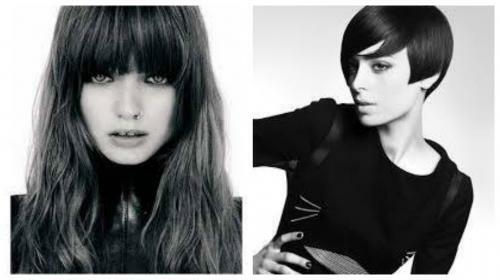 Big blunt bangs as one of the major trends for next year.